Tokyo fashion is a source of inspiration for a wide variety of professionals in the industry. Famous designers like John Galliano, Karl Lagerfeld, and Marc Jacobs, often create pieces inspired by its post-modern aesthetic. The Christian Dior Spring/Summer 2003 collection by John Galliano was famous for its use of Japanese inspired fabrics, shapes, colors and textures; the rice hats, kimono drapes, and early 20th century colonial numbers were visuals reminiscent of Tokyo fashion. Another famous French fashion label Eliee Saab, designed a collection pairng luxurious French fabrics and royal, earthy colors with the shape of Japanese kimonos; the combination produced an enthralling visual of royalty from both Europe and Asia, making for quite a fashion forward look. The most talented hands in luxury fashion often refer to Tokyo style with the purpose add depth and diversity to their designs. The vibe in Tokyo fashion is so different, yet is entirely fitting for high end fashion. 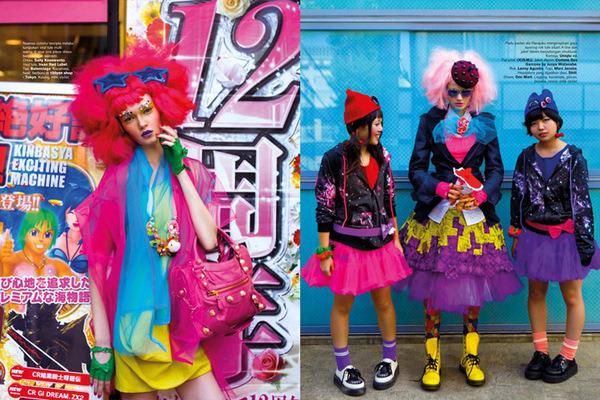 Tokyo fashion differs from the Western fashion taste in its aesthetic purposes. Fashion in New York and Europe are meant to accentuate ones physique, body shape, and status. They dress to complement their skin tones, facial shapes and hair, fashioning clothes to make their bodies look the best it can by manipulating proportions. They wear brands like Chanel and Prada to communicate their wealth and social status. In the “Land of the Rising Sun”, people use personal style not to look more visually appealing, but to communicate depth in personality. You will often see them dress in many layers, a choice of style that makes your character more mysterious and complex. A person wearing blazers, vests, scarves and such appears more cosmopolitan and modern. City-life is complicated, making the urban aesthetic fascinating. You will find that Japanese people don’t dress to complement their bodies like Western people do. They often wear oversized clothes, large hats, baggy pants, or very tight jeans because of their belief in dressing for “the hidden body”. Eastern thought believes that people are not confined to their physical bodies but that there are fields of energy surrounding the human body; this idea is present in Japanese fashion. The oversized jackets and loud accessories are made for these “invisible” extensions of the body. Many of them also have a sense of disorder in their style, like chaotic layering, asymmetry, clashing colors and destroyed fabric.because the Japanese aesthetic is drawn to imperfection. They value a look of failure and disorder in man made things, a realistic view on life. The acclaim and popularity of Japanese designers like Yohji Yamamoto, Commes Des Garcon and Issey Miyake, have inspired many new designers. Up and coming fashion labels of Byungmun Seo and Jeehee Sheen are made in the same style as Yohji Yamamoto’s gothic modernism. The new Japanese fashion labels 4×4 Man and Beyond Closet are similar to Commes Des Garcon’s porcelain doll inspired looks. I see Japanese fashion evolving into more fresh looks and modern ideas, continuing to inspire the Western fashion world. That’s why I love Tokyo Fashion! Wow! I understand the Japanese aesthetic much better now! I had no idea about how they want their ‘inner body’ and level of complexity expressed through clothes. Fascinating stuff! Impressively assembled blog! Found this fascinating . Makes fashion in UK look very traditional and dull. 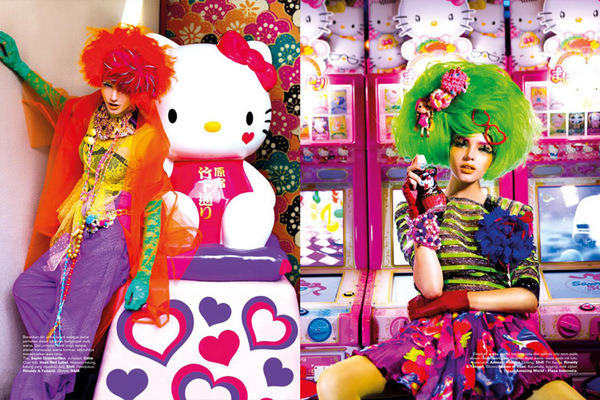 If fashion reflect who we are and what we aspire to, this vibrancy says much about modern Japan. Forgot to say, hope you don’t mind if I reblog on Jingsandthings. I found this fascinating and am sure some of my readers will too, and perhaps gain some inspiration from the designs. About a year ago, I went to a festival in Japantown in San Francisco, and I saw young women dressed this way. I had never seen this type of fashion, and I was fascinated by it. I went into shops where they were selling similar outfits. I wanted to take photos of the girls in their outfits, but I felt too shy to ask. Now I am sorry I did not. Thanks for reblogging this. I spend my morning reading through the blog from Bob Cal 7orever7resh and am amazed at his writing. His blog is effortless perfection and makes you think about fashion from a different angle. 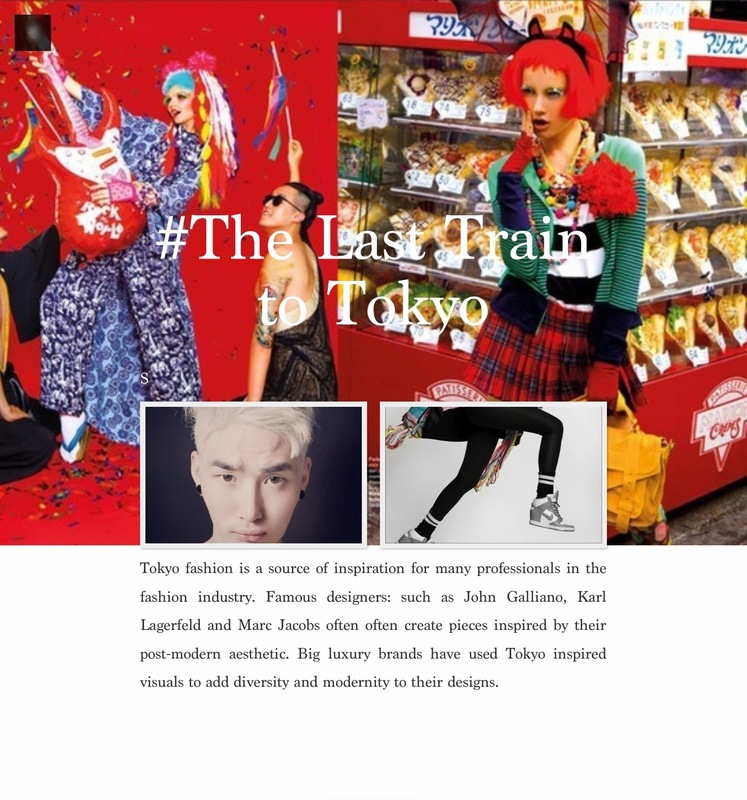 As I am blogging about Japanese Fashion in particula, the post “#The Last Train to Tokyo” hit it on the head for me, so I decided to share it here (which I hope is okay for Bob). It’s part of a collection of articles with the same name (have a look at its prologue here) and I am very looking forward to the next posts.